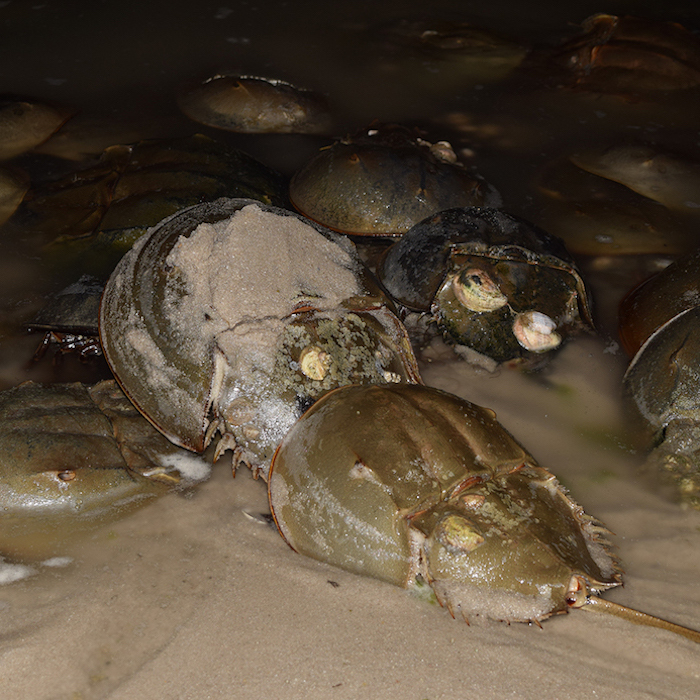 OCEAN VIEW- The Delaware Center for the Inland Bays is seeking volunteers to assist with the 2018 Horseshoe Crab Survey! A volunteer orientation program will be held Thursday, April 5, 2018 at 5:00 pm at the CHEER Center, located at 30637 Cedar Neck Road in Ocean View. This citizen science volunteer effort gathers data about horseshoe crab spawning populations at sites on Rehoboth Bay, Indian River Bay and Little Assawoman Bay. Each survey is conducted at high tide on evenings around the full moon and new moon throughout May and June. Volunteers are responsible for counting horseshoe crabs, recording data, and carrying equipment between count sites. The orientation program will include an introduction to the survey, safety information, team and equipment assignments, and food! Attendance at the orientation is highly recommended. Please RSVP online at www.cibhorseshoecrabsurvey.eventbrite.com or by calling (302) 226-8105 x 112. For more information about survey, visit us online at www.inlandbays.org/hcs. The Delaware Center for the Inland Bays is a non-profit organization established in 1994, and is one of 28 National Estuary Programs. With its many partners, the Center works to preserve, protect and restore Delaware’s Inland Bays–the water that flows into them, and the watershed around them.